That there are Ferrari racing cars is a surprise to no one. That Ferrari makes road cars is equally unshocking. A Ferrari rally car, though? That’s a different matter. 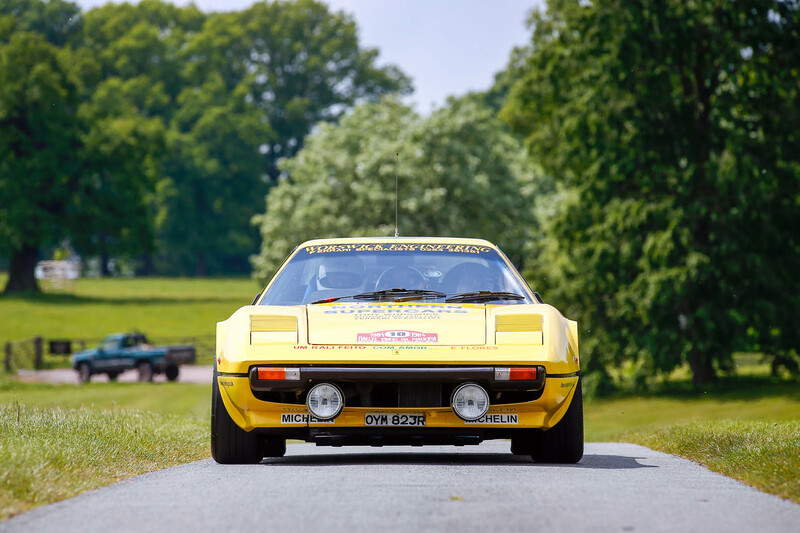 This Ferrari 308 GTB is not any old rally car, either, but one built to Group B regulations – the early 1980s fire-breathing formula that led to rally cars becoming so fast and so dangerous that it changed the face of the sport for ever. Officially, this was never a Ferrari project. Italian race team Michelotto built around a dozen 308s to Group 4 regs in the late 1970s. 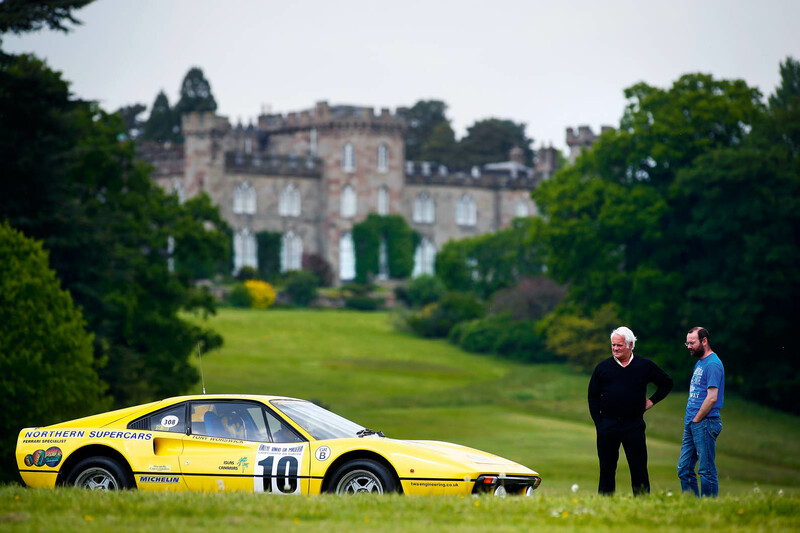 When Group B arrived, Michelotto figured any rules that spawned a Lancia Stratos would suit a contemporary mid-engined Ferrari, too, so the team built four 308s to compete in the European and Italian rally championships, with one of the cars winning the latter in 1982. In the UK, engineering company owner, race car preparer and Ferrari specialist Tony Worswick had the same idea, and this 308 here is the result: the only right-hand-drive Group B 308 GTB in existence. As with the Italian cars, Ferrari was officially uninterested, but the UK distributor, Maranello Concessionaires, was compliant and the factory was quietly supportive. “Maranello would ring and say, ‘Some stuff has arrived from Italy; it must be yours’,” says Worswick. The UK car’s development and success, however, was down to Worswick. The base engine is the 308’s 3.0-litre flat-plane-crank V8, but the heads are Worswick’s, with the top end designed to be as close as possible to a Cosworth DFV’s. It revs to 7500rpm and makes 450bhp, driving the rear wheels through a five-speed gearbox with dog-leg first. That much power would be ample in a regular 308 GTB, which made less than 300bhp as standard, but this car weighs just 970kg. A comprehensive roll cage keeps things rigid, but the panels are carbonfibre at the front and kevlar-carbon – whose application Worswick says Ferrari spotted and adopted for the F40 – at the rear. The fuel tanks are in sponsons either side of the motor. Bodywork aside, virtually all that’s in the front is a spare wheel and radiator, while all that’s behind the rear wheels is a small oil tank. This means that the majority of the 308’s weight is situated within the wheelbase, which is longer than that of a Stratos but compact by any other standards. It’s no wonder people thought it would make a good rally car. It does. Worswick remembers this with a smile, not just because the 308 was competitive, but also because campaigning it around Europe and coming home with trophies gives him great memories of the days when rallies, often sponsored by local tourist boards, brought decent start money and big crowds keen to see a Ferrari rallying, for obvious reasons. The truth is that this 308 isn’t just a good car to drive; it’s a sensational one, even today. The engine is brilliant, pulling cleanly from less than 2000rpm with power then building linearly all the way to the limiter. It sounds better on the throttle than almost anything competing today and makes a more fantastic noise on the overrun than just about any car on the planet. The gearbox is fabulously crisp – although it rewards rev matching and positivity – while the brakes and steering do what a competition car’s should do: feel better the faster you drive. It’s exceptionally agile and grips well, and Worswick says it’ll even slide benignly – although I’m disinclined to explore that on the sprint course at Cholmondeley Castle, home of the Cholmondeley Power and Speed event, from this Friday (10 June) through to Sunday, where you can see this car in action. It’s a lovely event, with diverse cars, a relaxed atmosphere and a really entertaining sprint course around the grounds, with several places to watch cars being driven hard. It’s pretty easy to get to, too. If the 308 feels fast today, it must have felt spectacular in its time. You can see why Group B was both so popular and so short-lived, and why opportunities to race the car, or at least demonstrate it, dried up. Until, that is, events such as the Goodwood Festival of Speed and Cholmondeley started to become annual fixtures. 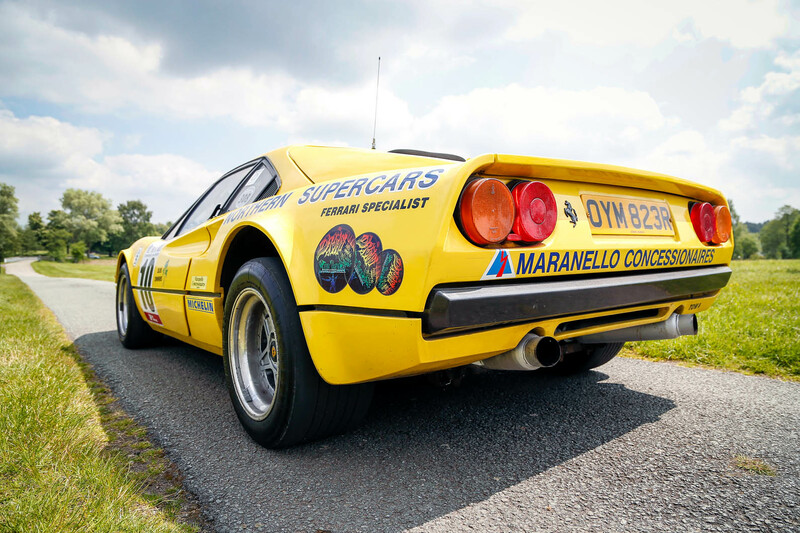 They give this 308 – and many other old competition cars like it – a new lease of life. The opportunity to see them – and, crucially, hear them – in action, is back. I recommend taking it. Tickets are available at cpop.co.uk, priced from £24 for adults and £7 for children. Autocar readers can get 20% off when using the code CPASAUTO. This is exquisite but does it really produce 450bhp at 7500rpm from that 3.0 litre motor? That's F1 specific output but at much lower revs. At the end of the DFV's life (around the same period as this 308) they were building short-stroke specials that were giving 515-520bhp at 12000+. I just can't see it. Nowhere near F1 output per litre. the last of the naturally aspirated 3 litre v10s were closing in on 1000bhp. Glorious. Given a choice of drive for the day, I wouldn't hesitate to take the keys to this over a 488.